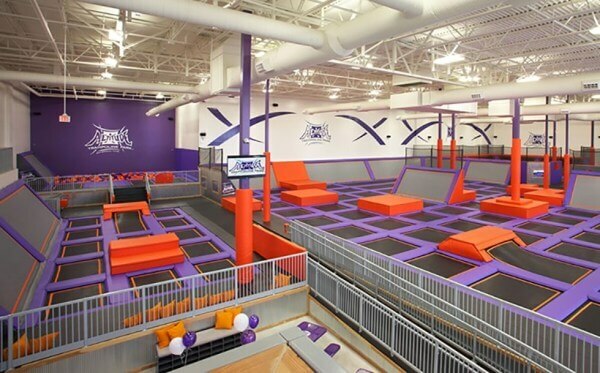 Phoenix, July 19, 2018– Altitude Trampoline Park will occupy more than 35,000 square feet of space at Gilbert Towne Center, 701 N. Gilbert Rd. in Mesa. This will be the company’s second trampoline park in Metro Phoenix and is scheduled to open in early fall. Ault and Daniel Ortega of Colliers International worked in partnership with Joseph Williams of The Woodmont Company, Altitude’s master broker in the U.S., to represent Altitude Trampoline Park in its site identification and lease negotiations. David Jarand and Erin Schrauth of Strategic Retail Group represented the owners of Gilbert Towne Center. Altitude Trampoline Park will be located in 35,270 square feet of space formerly occupied by Big Lots. The company chose the Gilbert Towne Center space because the neighborhood shopping center is situated in an area densely populated by families and demographics well suited to their target market.